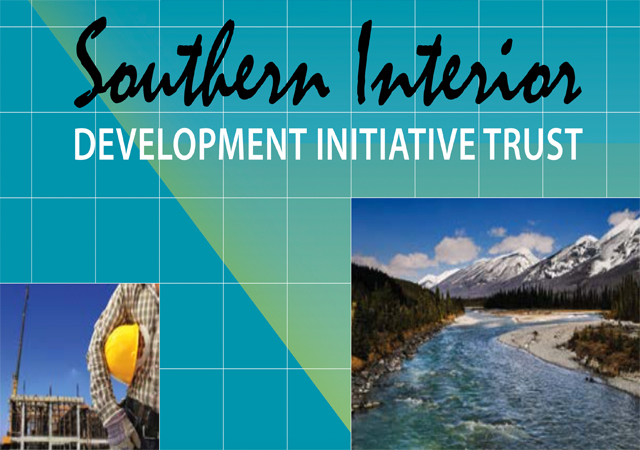 The Southern Interior Development Initiative Trust (SIDIT) report was prepared for our stakeholders, the British Columbia Provincial Government, and reflects SIDIT’s commitment to support economic development in the Southern Interior. It covers the period April 1, 2015 through March 31, 2016. The report includes SIDIT’s achievements in providing continual support to the Southern Interior communities of the Thompson Okanagan Region and the Columbia Kootenay Region over the Fiscal 2016 year, as well as the full report of our audited financial statements prepared by our external auditors Grant Thornton LLP. The service area for SIDIT includes Blue River to the North, Hope to the West and the United States and Alberta borders as Southern and Eastern boundaries respectively. The mission of the Southern Interior Development Initiative Trust is to support strategic investments in economic development projects that will have long-lasting and measurable benefits for the Southern Interior. The Southern Interior Development Initiative Trust Act mandates investment in economic development initiatives within ten key sectors that will demonstrate long term measurable economic impact within the Southern Interior. Within its mandate, SIDIT lends to and invests in promising commercial enterprises. SIDIT assesses the long-term potential of lending and investment opportunities and will consider a more patient position than would a traditional lender. Funding may include grants, loans and equity participation with a focus on leveraged partnership participation.